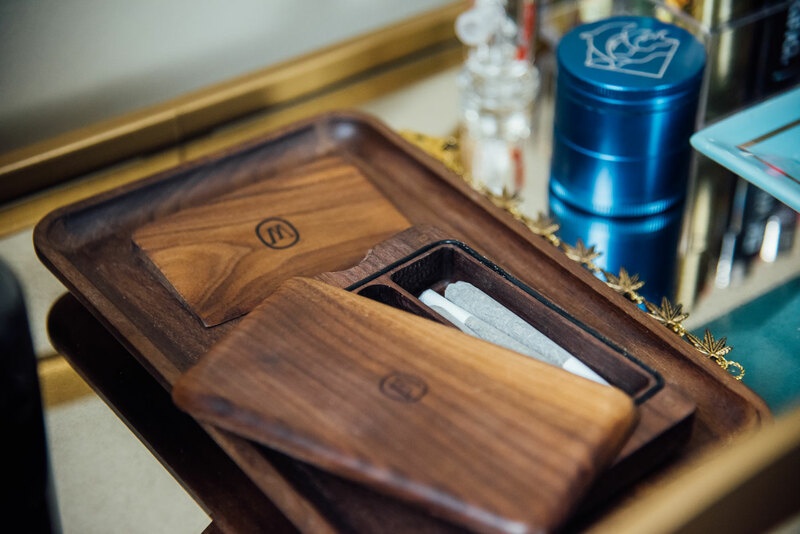 We all know bar carts, but what about bud carts? 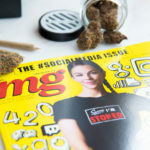 MARY Magazine recently featured mine in their STASH BOXES column! 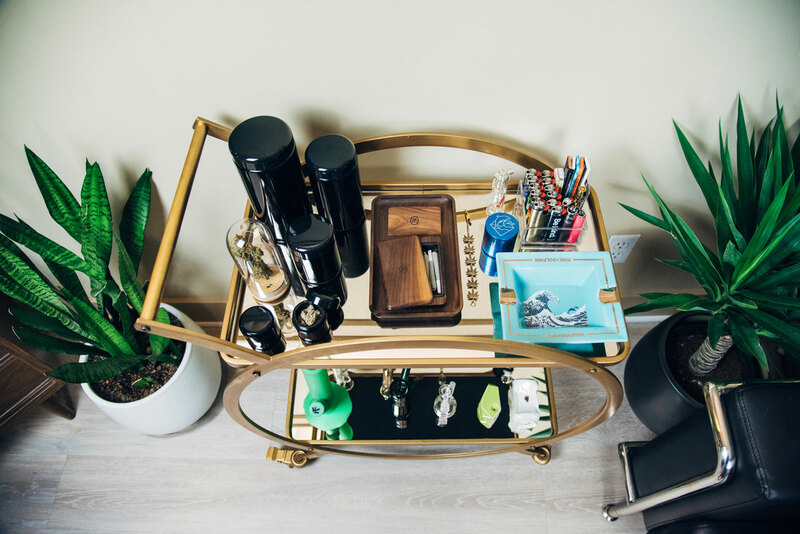 My bud cart is a key focus in my apartment. It usually sits in a corner surrounded by art, but occasionally I wheel it out for weed nights with friends. I keep flower and accessories on the top shelf. 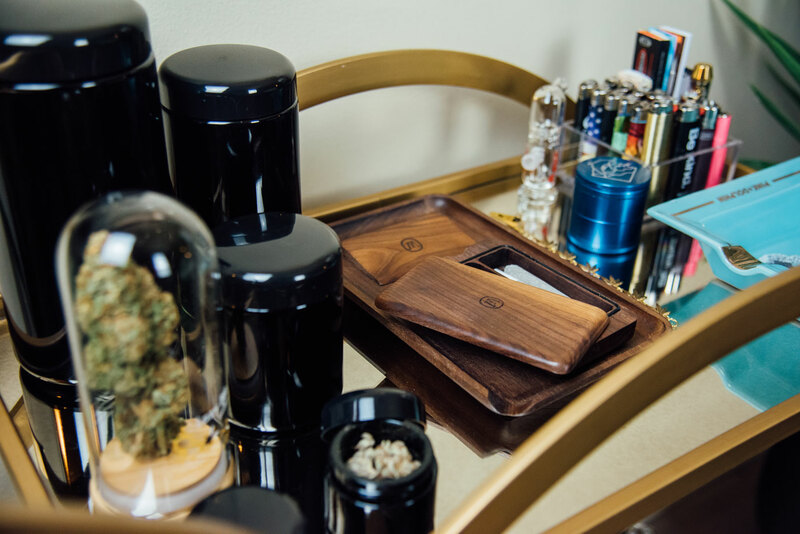 Lighters are stored in a little dish, so no worries if people pocket them. My rolling tray, ash tray, and roach clip are also displayed on the top. Glass goes on the bottom shelf, where it is less likely to accidentally be knocked over. Three large UV protectant jars are filled with edibles, extracts and flower. I also have two small Van der Pop jars full of flower for easy transport. 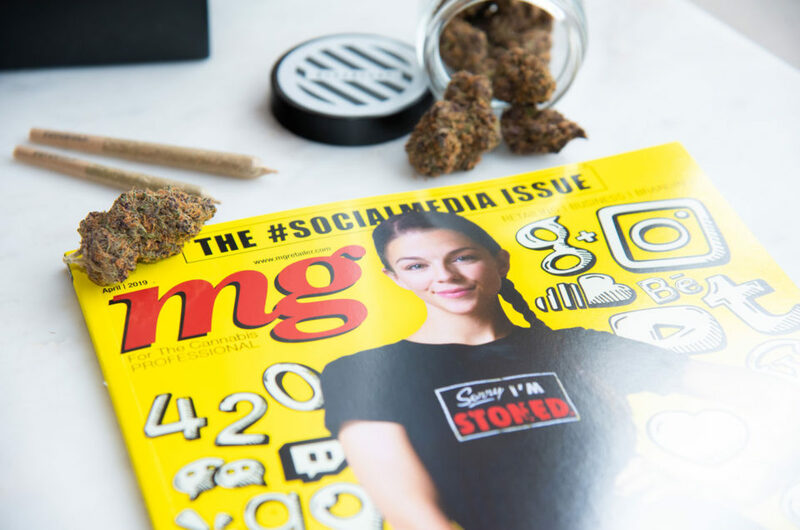 What I love most about my bud cart is how it normalizes cannabis. 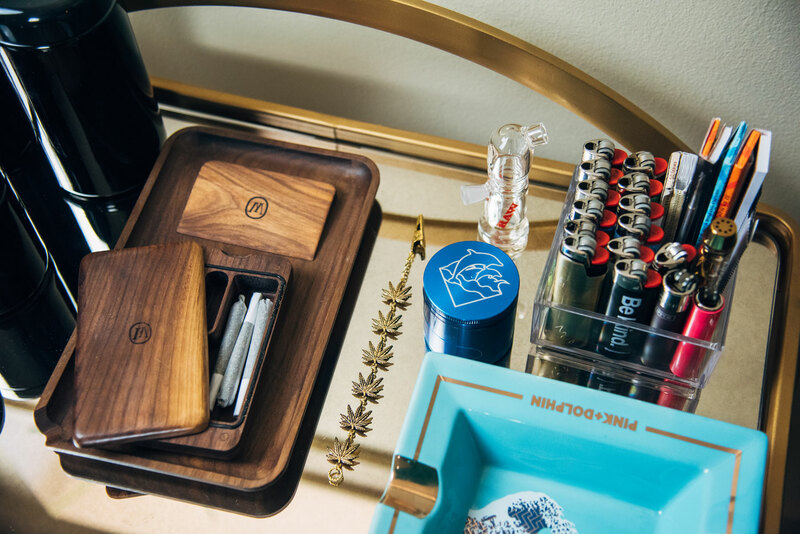 We don’t think twice about bar carts, so why not have a bud cart? 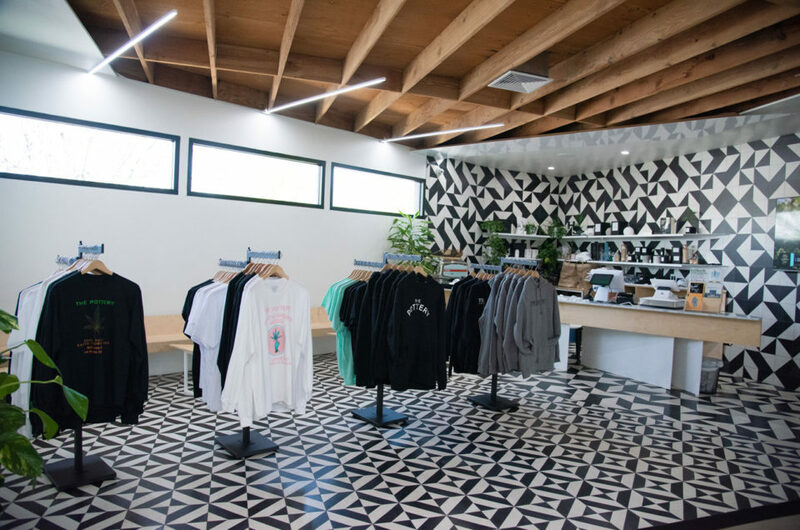 Brands nowadays have such beautiful products, I am proud to showcase them!